As a Web Guru, you will play a key role transforming NatureKids program components (like our Action Awards Program) from a paper-based to an online format helping the NatureKids to both reduce our program delivery footprint and reach more youth. If you have experience with wordpress, have patience with folks less techie than yourself and are interested in the opportunity to flex and build your web-design muscles on an impactful project this is a project for you. Register here. We need your help to make welcome packs for new members and leaders, make NatureKids buttons, organize supplies and many of other tasks that can be lots of fun when tackled together! 3-5 hours a month is all it takes to really make a difference! Work parties take place at the office in North Vancouver and various Lower Mainland venues. Register here. 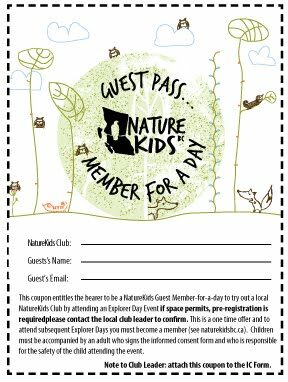 As a co-leader of a local nature club your primary responsibility will be to organize hands-on outdoor field trips- called Explorer Days for NatureKids members and their families. 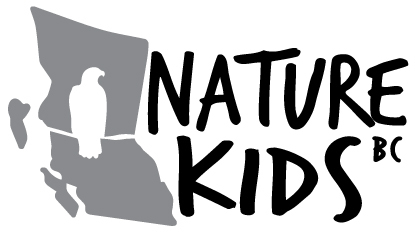 NatureKids operates nature clubs for children and their families in many communities and schools around BC. All our club leaders are volunteers - if you are organized, interested in the environment and can help organize 10 explorer days per year this opportunity may be for you! To learn more about becoming a Club Leader or Co-Leader please contact the Nature Clubs Coordinator at coordinator@naturekidsbc.ca. Please note references are required.